Easily create image-based quizzes using your own images. Simply upload the image you want to utilize and place blue dots for questions. 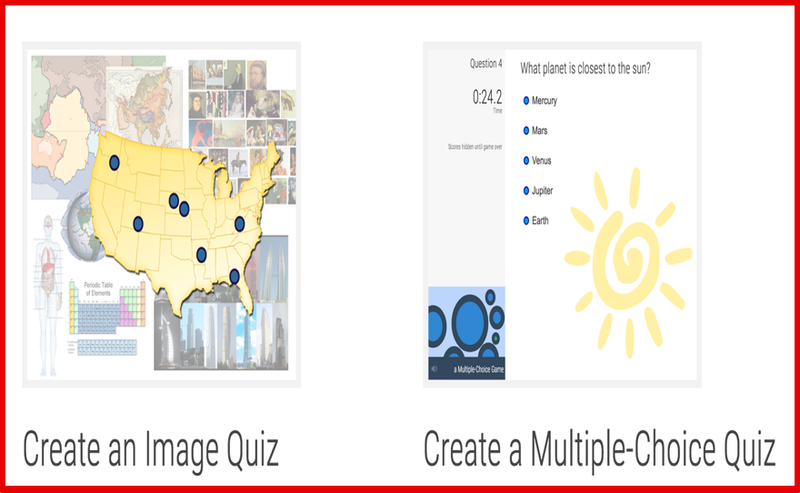 Another type of quizzes supported by PurposeGames is the multiple-choice quiz where you pose a question and provide a number of answers for students to choose from. This is similar to image-based quiz but uses shapes instead of dots. Other interesting features provided by the site and relevant for teachers include: the creation of groups where you can let your classes practice, get assignments and take tests. Playlists can also be helpful especially for creating study lists. Courtesy of Learning in Hand.